Now joining us is Bill Black. He’s an associate professor of economics and law at the University of Missouri-Kansas City. 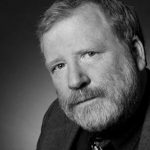 He’s a white-collar criminologist, a former financial regulator, author of The Best Way to Rob a Bank Is to Own One, and he’s a regular contributor to The Real News. Thank you so much for joining us, Bill. 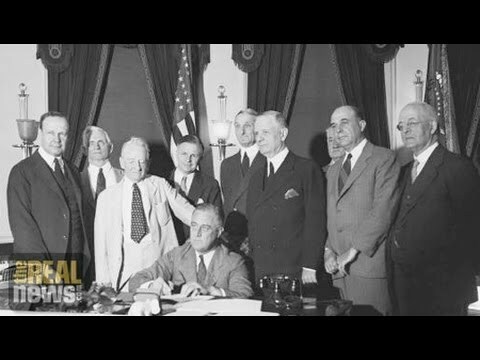 NOOR: So, Bill, senators Elizabeth Warren and John McCain have introduced legislation which would reinstate key provisions of the Banking Act of 1933, better known as Glass-Steagall. What’s your response to this news? BLACK: Well, it’s fabulous news. And it follows on a significant action in the House of Representatives trying to do the same thing. So to give a little bit of perspective–and this is legislation that arose from the Great Depression after there were congressional investigations that looked into the causes of the crisis and said one of the consistent problems was a conflict of interest where you had a commercial bank also being an affiliate of an investment bank and you have one bailing out the other and such, and Congress said, this is a terrible idea, and so they adopted the Glass-Steagall legislation. And that worked brilliantly for roughly 50 years, protecting our nation against financial crises. And then economists came and said, there was never any real problem, and the big banks finally cut a deal with the investment banks, and they got rid of the Glass-Steagall law under the Clinton administration in 1999. And even before then, the Federal banking [incompr.] very hostile to Glass-Steagall and had given it the death of a thousand cuts by creating all kinds of exceptions that greatly reduced its effectiveness. So one of the reasons that you knew that Dodd-Frank was not serious was that it didn’t simply say the Glass-Steagall Act is hereby reinstated, and it didn’t say, similarly, the Commodity Futures Modernization Act, which is what created the black hole for credit default swaps and other derivatives, is hereby repealed. You could have shortened Dodd-Frank a whole lot if you’d written those two sentences [incompr.] far better regulation. But, okay, you know, it’s now five years later, and the number of members of the House and this odd couple of one of the most progressive members of the Senate and one of the more conservative anti-regulatory members, John McCain, one of the Keating Five, the five senators that acted on behalf of Charles Keating, have come together and said this is nuts. We need to go back to Glass-Steagall. It worked brilliantly. This whole idea that it had somehow become obsolescent was stupid. So, you know, it’s a long way between simply, of course, proposing this kind of legislation and actually getting it adopted. The Volcker rule, which many of our viewers may have heard about, was an attempt to take just a portion of Glass-Steagall and reinstate it. And that’s been given again the death of a thousand cuts in the regulatory process. So I think it’s much cleaner to simply reinstate Glass-Steagall. NOOR: Now, Bill, this news comes on the heels of a new study just released titled Wall Street in Crisis: A Perfect Storm Looming. And just to give our viewers a sample of what was said in this survey–now, this was an independent anonymous survey of people that work on Wall Street, of stock traders. According to this survey, more than half of respondents believed their competitors engaged in illegal or unethical behavior, while almost a quarter felt employees in their own company engaged in similar misconduct. An astonishing 23 percent reported they had observed or had firsthand knowledge of wrongdoing in the workplace, and 29 percent believed financial services professionals may need to engage in illegal or unethical behavior to be successful. What’s your response to the survey, Bill? BLACK: Well, this is precisely what we’ve been talking about for decades. This is the Gresham’s dynamic, in effect, in which bad ethics drives good ethics out of the marketplace. And notice that difference. So if you go to all of the companies and ask them about their rivals, they say, over 50 percent of our rivals cheat. But if you go to everybody within their company, they say only 25 percent of us cheat. Which one do you believe? Right? The 52 percent is a whole lot more credible. You know, people are more honest about what they see in their competitors than what they see when they’re looking at their own friends and such, and they want to deny guilt by their own friends. So this is the opposite of the rotten apple nonsense you always hear–oh, business is fundamentally, overwhelmingly honest. Maybe there’s a few rotten apples and, you know, it’s unfair to characterize, etc., etc., etc. You know how the speech goes. Well, no, the truth is that business–and this is talking about Wall Street, our most elite, most powerful business–is profoundly unethical, profoundly fraudulent. And in addition to the percentages you gave, sort of the magic percentage, 25 percent, so 25 percent of them said that they would be willing to cheat if they could get away with it as long as they’d make $10 million. So they would personally tell, you know, someone in a survey, yup, I would cheat, as long as I can make at least $10 million and wouldn’t end up in prison. Well, you can make a whole lot more than $10 million, and under the too-big-to-prosecute, you have no risk of going. So what does that tell you if you only believe the 25 percent instead of the 53 percent number? That’s still hundreds of thousands of guys out there looking for their big score through fraud and telling all of us they’re quite willing to do it. And even more disturbing, when they looked at younger people, in other words, people who their formative years have seen this crisis, how did they react to it? You might hope that they react to this crisis brought on by elite fraud by saying, oh my, let’s stop that. But no, it works the opposite direction. The younger the survey respondents were, the more likely they were to say, yup, I would go out there and commit fraud. And the article, which can be found on your website, which was originally in The New York Times–which is a story in itself, because it was [incompr.] and it was someone who kisses up to the industry all the time–makes the point that economics and business schools are horrible for students’ ethics. These are the conventional neoclassical programs. At first, people self-select such that the people that come to economics programs are less ethical, less altruistic than their peers just when they begin the program. And then if you look at them a number of years later, after they’ve gone through the program, they’re even worse. So we–you know, the dean at the business school doesn’t much like this when I say this, but far too many of our business schools are fraud factories for the most elite frauds who are out to rip us off. NOOR: And finally, Bill, I’ll leave you on this quote from this study. It found that 62 percent of those surveyed felt the Securities and Exchange Commission is effective at detecting, investigating, and prosecuting misconduct, while 57 percent felt that FINRA was similarly effective. And these numbers have increased 100 percent since the previous survey done one year ago. Wrapping up, Bill, what does this tell us? BLACK: Well, first, it explodes this myth of, you know, overregulation and the super-zealous regulators and such as supposedly the reason the economy isn’t developing. What have we just seen this week and last week? The largest banks reporting absolutely record profits, growing by 50 percent and such. But these results about a supposedly good job by SEC and FINRA shouldn’t be taken with a grain of salt but a whole, you know, vein in a mine of salt, because you can’t put them together with the earlier numbers. If the SEC and FINRA, which is the private version of the SEC, a self-regulatory body, were really being effective, would you find that 53 percent of the respondents said that their competitors are cheating currently and that they are personally aware that–25 percent of them are personally aware of people within their own firm cheating? So you can’t be too confident. Certainly it blows away the myth of the, you know, hyper-vigilant, hyper-nasty regulator. But you shouldn’t have confidence the SEC and FINRA are actually being effective. NOOR: Bill Black, thank you so much for joining us.